The Global Guidance for Life Cycle Impact Assessment Indicators 1 is aimed at LCA practitioners and method developers. It is the result of an over two-year long process of consensus building and consultation among world-leading experts and stakeholders. 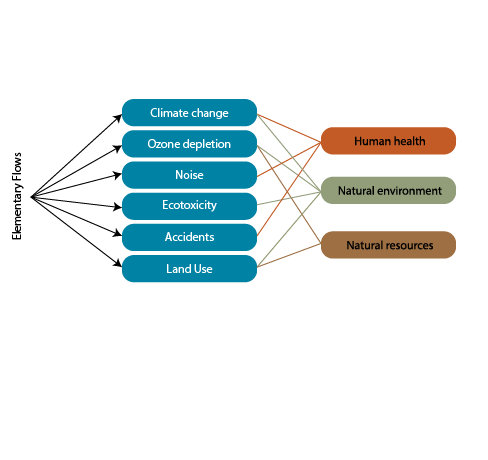 More specifically, the publication provides significant progress in a variety of impact areas: climate change; health impacts of fine particulate matter; water use impacts; and land use impacts on biodiversity. What makes this guidance so special is the global consensus-building process, and its endorsement by an international partnership. In the 8 months since the January Pellston Workshop™, the project leading team (chaired by Dr. Rolf Frischknecht and Prof Olivier Jolliet) has been ensuring that the text of “The Global Guidance for Life Cycle Impact Assessment Indicators” report is consistent, the characterisation factors (CF) are all collated and readily available, and an international peer review process has been coordinated by the Initiative’s Technical Review Committee (chaired by Dr. Mary Ann Curran). Additional stakeholder feedback has also been gathered, for instance during the SETAC Nantes Conference. Moreover, the model for water use impacts is reported in the draft LCIA recommendation by the European Commission as candidate models to be used for the Environmental Footprint. The guidance is also a milestone for the UNEP/SETAC Life Cycle Initiative — it positions the Initiative as a global body for the stewardship of impact assessment methods, delivering much needed consensus-building among method developers and users. More practically, it also provides the necessary access to indicators so final LCA users can incorporate them in their studies. The publication is expected to be launched at Ecobalance in October.